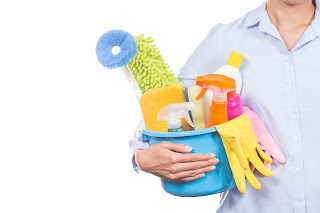 Spring is officially here and with it comes Spring-cleaning! We’re not talking about dusting the blinds and mopping under the sofas. We’re talking about going through all of your “stuff” and de-cluttering your life—something we all should be doing. Excessive clutter can be symptomatic and even a cause of stress; this can affect every facet of your life, from the amount of time you need to get things done to your finances and your overall enjoyment of life. Clutter can distract you, weigh you down, and in general invite chaos into your life. Let’s start with separating “stuff” into categories: clothes, books and movies, kitchenware, miscellaneous. 1. Does this fit me? a. Yes. On to the next question. b. No. Place it in the “no” pile. 2. Have I worn this in the last 3 months? b. No. Add it to the “no” pile. 3. Do I need this item? b. No. Put it in the “no” pile. Now, we’re not suggesting that you get rid of every single item in your closet that you don’t necessarily need. If the item in question is of good quality, hang on to it., But that cheap sundress you bought last year to wear to a beach party which you haven’t worn since? Toss it in the donation pile. Getting rid of books and movies can be a sentimental issue. Whether it’s a book you received as a child, or a favorite film on DVD that you just can’t seem to get rid of, we’ve got you covered. Try setting a number of books and movies you can allow yourself to have. If you go over that number by buying new ones, you have to get rid of ones to keep the number your previously set. Once you realize you don’t need all of those heavy books, it’ll become second nature to only hold onto a few! This one’s simple. Hardly anyone really needs 13 coffee mugs. If you can, minimize your kitchenware to whatever you use on a weekly basis,making exceptions for a few holiday and entertainment items. If you find yourself with “extras” throughout your Spring-cleaning process, try applying the previous questions to these miscellaneous items as well. How often is it used or worn? Do you really need it? By devoting some time to getting rid of the clutter in your life, you’ll reap the rewards of pleasant living areas, reduced stress, and a more organized and productive existence. Best of luck in your Spring-cleaning process!